Powerful and easy to use delivery management software for your local delivery business. Streamline your whole delivery operation with our powerful delivery software that offers your customers an "Uber-like" experience while offering your drivers and back office robust features you would expect to see from a large courier company. Zippykind's delivery software has automated many of the processes and logistics you would normally have to do by hand. Your online orders can be automatically sent to your delivery drivers by using our easy to integrate API. Assign your drivers to delivery territories or assign delivery fees to zones around town and let Zippykind take care of the rest. 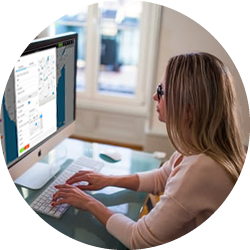 Zippykind offers the flexibility to customize and automate your entire delivery business. Compare our automation features to other delivery software companies to see how powerful the Zippykind platform is. 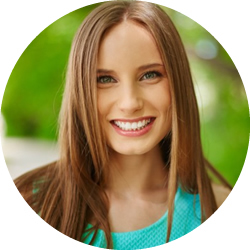 See how Zippykind looks through the eyes of a customer, driver and staff! Whether you’re on foot, on a bicycle, taking the transit or driving, Zippykind's route optimization can find the best route between delivery destinations. Avoid sending delivery tickets one by one, use our auto-assign feature to assign newly created tickets to the driver closest to the destination or to the driver who firsts accepts the delivery ticket. Your office staff can use our dispatch delivery software to take orders over the phone and send the delivery details to the delivery drivers while tracking the driver’s locations through our interactive dashboard map. Drivers can now show proof of delivery by adding photos and signature verification to the delivery ticket which also logs the drivers GPS coordinates. 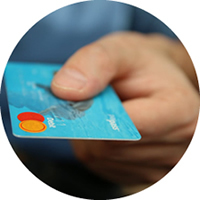 Track customer spending and our system will categorize your customers into different tier levels using our spending rewards program based on their monthly spending. Offer your customers an "Uber-like" experience. 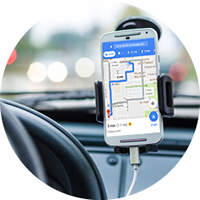 When your driver is in-route to the delivery destination, your customer will get a SMS text message or an email with a tracking page that will show the drivers ETA, GPS position and a Call and Text Message button. Autonomously send email and SMS status update notifications and protect your driver's phone numbers by using a virtual dedicated number so that all inbound and outbound calls and text messages are routed through your company’s dedicated virtual phone number. Using our API, you can connect your Zippykind account to hundreds of different API's such as Shopify, Quickbooks, Bigcommerce, Salesforce and more. Automate your delivery ticket creation process by sending delivery ticket requests through our API. Save tons of time by letting our advanced map zones algorithm do all the work. Setup your map zones once and never again worry about which driver should receive the delivery. 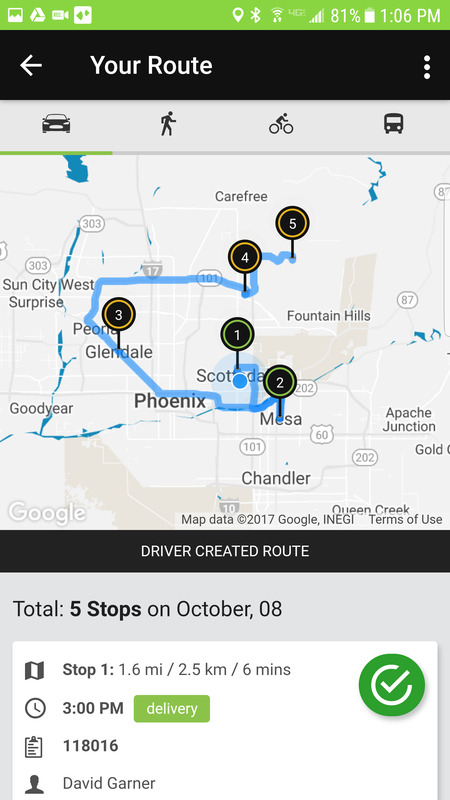 Our map zones feature uses the drivers' proximity to the delivery destination and the availability of the driver to make a match. Easily schedule new deliveries through our drag and drop scheduler. View each driver's availability and team schedule through a day, two day, list, week and moth view. 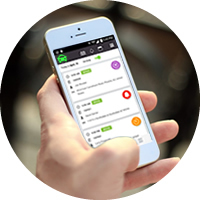 This makes rescheduling a breeze and gives your dispatch operators a clear overall view of your company's schedule. Setup recurring subscriptions for your customers who order from you on a daily, weekly, bi-weekly or monthly basis. Our multi-order subscriptions feature lets you setup subscriptions for multiple orders for the same customer which can run concurrently. Make more informed decisions using our heatmap, driver and team delivery analytics. Easily detect past geo delivery trends and discover which drivers have good or bad delivery performance. Drivers and customers can communicate using our app and through text messages! Keep your customers coming back by rewarding loyal customers! Confirm every delivery with a customer signature and gps logging! Find the shortest distance between stops using route optimization! Easily browse through past and future deliveries! Sort deliveries based on time of delivery and shortest distance! Customers receive automatic updates on their delivery drivers progress and can view their drivers ETA through a brandable tracking page! Drivers can add notes to delivery tickets and can send text messages to customers! from Spedale's Florist in Lafayette Louisiana. Tom has been a Zippykind customer for a few months and would like to tell you a little bit about his experience so far. No hidden fees and no start-up costs. Only pay for what you use and you can stop at any time. Our Free Plan offers you 50 deliveries per month free! Helping all kinds of delivery businesses!